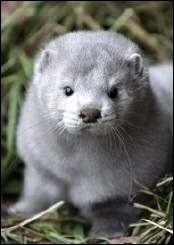 German conservationists have condemned the release of some 17,000 minks from a fur farm, apparently by animal rights activists, saying they are likely to starve in the wild and could disturb the ecological balance in the region. Don’t be fooled by sample bias, he notes, if you’re a young student at MIT, surrounded by Nobel-winning science professors. For whom does academic science as a career make sense? Does this make sense as a career for anyone? Absolutely! Just get out your atlas. Imagine that you are a smart, but impoverished, young person in China. Your high IQ and hard work got you into one of the best undergraduate programs in China. The $1800 per month graduate stipend at University of Nebraska or University of Wisconsin will afford you a much higher standard of living than any job you could hope for in China. The desperate need for graduate student labor and lack of Americans who are interested in PhD programs in science and engineering means that you’ll have no trouble getting a visa. When you finish your degree, a small amount of paperwork will suffice to ensure your continued place in the legal American work force. Science may be one of the lowest paid fields for high IQ people in the U.S., but it pays a lot better than most jobs in China or India. George McCutcheon was in the business of selling periodicals, and he wanted to be able to take orders on the net. He wasn’t very into technology, so he asked his teenage daughter, Maggie, to handle that part of the business. Maggie soon had the connection working, but also used it to flirt with many men she met on-line. She invited one of them, Frank, to visit her in the real world. Her father found out, and was furious…furious to the point that he threatened to kill her if she saw Frank again. Maggie had her father arrested and charged with threatening behavior. Yawn, you say…why is this newsworthy? Things like this probably happen all the time. The above incident, though, happened in the 1880s, and was written up in the 1886 edition of Electrical World . The “net” referred to above was the telegraph network. That story came from Tom Standage’s The Victorian Internet. The man who lives in a small community lives in a much larger world. He knows much more of the fierce varieties and uncompromising divergences of men. The reason is obvious. In a large community we can choose our companions. In a small community our companions are chosen for us. Thus in all extensive and highly civilized societies groups come into existence founded upon what is called sympathy, and shut out the real world more sharply than the gates of a monastery. There is nothing really narrow about the clan; the thing that is really narrow is the clique….The men of the clique live together because they have the same kind of soul, and their narrowness is a narrowness of spiritual coherence and contentment like that which exists in hell. There’s a puddle of oil on the shop floor. One of the machines is leaking. The machine has a bad gasket. ACTION: Replace the gasket. But then ask..
WHY was the gasket bad? Check out the condition of the gaskets on some other machines. Looks like we’ve been buying inferior gaskets. ACTION: Change the specifications so we don’t get any more of these. But also ask..
WHY did we decide to buy the gaskets that we did? WHY did the head of Purchasing ever approve a policy like this in the first place? Maybe because his *incentive program* includes a big component for year-over-year reductions in supplies cost, with no measurement for downtime impact of bad items? ACTION: Change the incentive program. WHY did a one-sided incentive program like this get created and approved? Turns out no one in Human Resources has any experience in incentive program design. ACTION: Assign someone in HR to take some courses and do some reading in the field of incentive programs, how they go right, and how they can go wrong. As you go up the levels of successive “why”s, the nature of the problems changes, and hence, the set of people who must be involved in resolving them changes. You can expect a machine operator to notice the oil on the floor, and perhaps to assess and replace the gasket, but it would be unreasonable to expect him to identify the problems in the incentive plan for the director of Purchasing. Hence, handoffs in some form need to occur between the successive levels, and it is at these handoff points that the thread of the problem is likely to be lost. The ceramics teacher announced on opening day that he was dividing the class into two groups. All those on the left side of the studio, he said, would be graded solely on the quantity of work they produced, all those on the right solely on its quality. His procedure was simple: on the final day of class he would bring in his bathroom scales and weigh the work of the “quantity” group: fifty pound of pots rated an “A”, forty pounds a “B”, and so on. Those being graded on “quality”, however, needed to produce only one pot — albeit a perfect one — to get an “A”. Well, came grading time and a curious fact emerged: the works of highest quality were all produced by the group being graded for quantity. It seems that while the “quantity” group was busily churning out piles of work — and learning from their mistakes — the “quality” group had sat theorizing about perfection, and in the end had little more to show for their efforts than grandiose theories and a pile of dead clay. 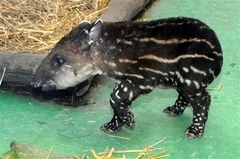 Four-day old male tapir Gesztenye (Chestnut) stands in his enclosure in the Xantus Janos Zoo of Gyoer,Hungary, as the baby is first shown to the public in Gyoer, 124 kms west of Budapest, Hungary, Monday, Oct. 29, 2007. This is a resource for all things about amateur Unmanned Aerial Vehicles (UAVs): How-to’s, links, videos, images and a discussion group. Among other things, this is where we’ll be listing all the parts, software and instructions to build each of our UAVs. Disruptive innovations — those destined to change the structure of an industry — tend to attack from below. They usually first appear in a form that is in some ways inferior to the existing dominant technologies, and hence are unlikely to get the attention or respect of industry incumbents. When attractive profits disappear in a market as a result of commoditization, the opportunity to earn attractive profits will usually emerge at an adjacent stage of the value chain. In segmenting a market, the purpose for which the product is being bought (“circumstance,” in the terminology of the authors) is a more useful dimension than the attributes typically used, such as customer demographics or product features. Read the whole review. The summary points only hint at what he has to say. Every year I picked up a half-dozen live young fellows who seemed to have a capacity for hard work, and shoved them in at the bottom of the pile, letting them make their way up to the better air and sunlight at the top — if they had it in them to do it. For a time I tried picking these youngsters out of the colleges. But my experience with college men was not fortunate. If I selected good students, I found too often that their leadership had been won by doing very well what their teachers had laid out for them. They had developed a fine capacity for taking orders, but not much initiative. If I hired athletes, too many of them seemed to feel that their life work was done; that the world owed them a living in exchange for what they had achieved for the grand old school. Also, there is not much social distinction in the grocery business. Young ladies — and their mothers — are much more thrilled by bonds than by butter and eggs. So I took most of my raw material from our delivery wagons, or other places right at hand. Out of this hard-muscled, hard-headed stuff I have built a business that has made me rich according to the standards of our locality, and has built modest fortunes for at least twenty other men. More important than that, it has stood for clean dealing and a faithful adherence to the best business ethics. Even our hottest competitors, I think, are willing to grant us that. FreshDirect’s continued success depends entirely on product quality and logistical prowess. “The challenge is for the 33 pieces to show up in the factory at the same time to get on the truck,” says Kelly McGowan, chief information officer. He still spouts the lingo of his old job on Wall Street, comparing food delivery to the electronic transmission of stock and bond trading orders. If the wrong item gets sent to the packers by mistake, a runner exchanges it, holding up the order and possibly the entire refrigerated truck. Over the last few years the company invested in additional scanners so that items get scanned three times before they reach the box, providing extra places to catch mistakes. The additional 50 cents it costs to find an error is a lot less than the $6 or so it would cost if the error slipped through. “We’re eliminating human error as much as possible,” says Operations Manager Ariel Ramirez. FreshDirect benefits from not having to arrange items as a store would, with high-profit items at eye level and low-profit bulk items down low. Instead, items on eight long shelves are arranged based on how often they’re ordered, how much they weigh and how delicate they are. Heavy jugs of Tide detergent go at the beginning of the picking process and fragile sliced breads at the end. Pickers take the items off the shelves and put them into a nine-box array that moves between picking bays on an overhead track, like a ski lift. If orders are finished but their picking basket has to wait in line behind incomplete orders, the company wastes money. Pickers now send 35% of all orders through quicker, cutting the boxes’ travel time from 45 minutes to 30. The software creates one pick list for items stored in farther-out aisles and another for closer-in items, where most of the pickers work. Where once an order traveled an average of 1,000 feet in the warehouse, now it goes 830 feet. FreshDirect’s 150 drivers must race to meet the two-hour window the company promises customers. Without maps or GPS, Manhattan-bound drivers have to know the intricacies of service elevators, parking spots and difficult building superintendents. That’s why new drivers deliver 35% fewer orders than experienced ones. During rush hour FreshDirect limits the number of delivery slots it offers and keeps drivers away from crowded streets, instead dispatching a bigger truck to serve as a base for deliverymen pushing handcarts to customers’ apartments. The kitchen where FreshDirect’s executive chef, Michael Stark, prepares his packaged meals is increasingly automated, too. Stark spent two years translating his recipes into the SAP factory software. When an order for lasagna comes in, the system checks the kitchen’s inventory and orders meat, pasta, cheese and tomato sauce, routing the meat to the deli for grinding. There’s more automation to come, with machines to grill pizzas and form meatballs.